Scooby-Doo!™ Cotton Candy is the perfect Scooby Snack! 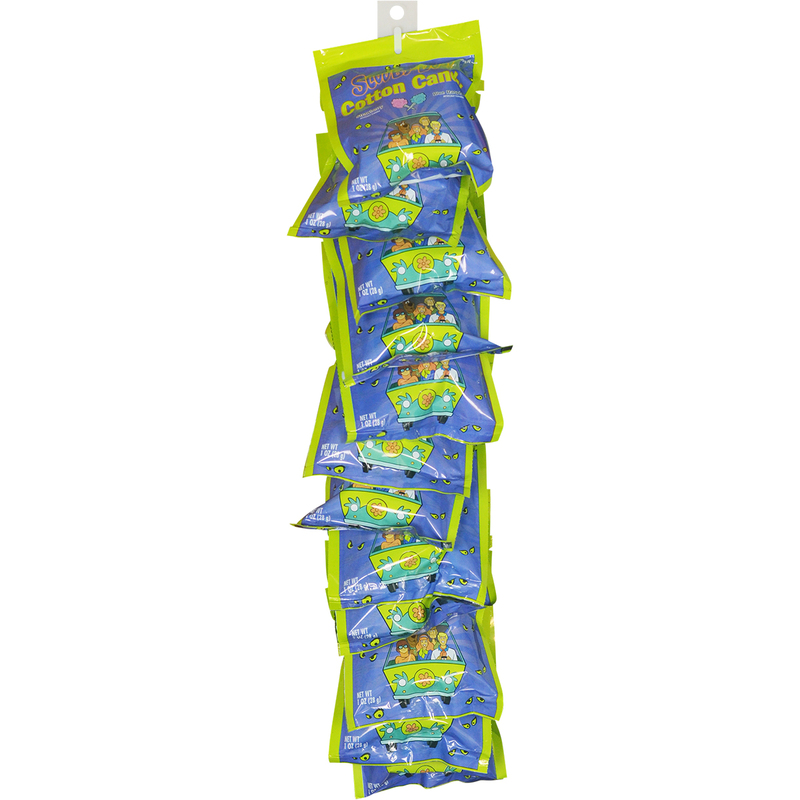 Each bag comes with a combination of Strawberry/Blue Raspberry flavors. The bag of cotton candy and display box have the whole Scooby-Doo!™ gang: Fred, Velma, Daphne, Shaggy and Scooby! Clip Strip for presenting cotton candy securely for resale.